The Garfield High School PTSA wants to get folks jazzed about its new, more inclusive major fundraiser, A Night on Bourbon Street, which will replace the traditional gala and silent auction with a New Orleans-themed indoor street fair and parade. 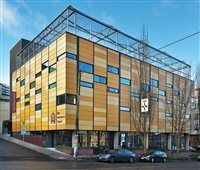 Seattle Public School administrators spent Tuesday evening explaining to parents, teachers and other interested parties how the two proposed levies on the February ballot would benefit students across the expansive district. Seattle Public Schools is vying for approval of two levies totaling nearly $1.5 billion between 2020-25, which will be placed on the February ballot. Upower has grown a lot since Madison Park resident Martha Moseley founded the nonprofit fitness and wellness program more than four years ago, but there's always demand for more. 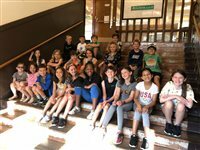 The McGilvra PTA’s first major fundraiser of the year, the Move-a-Thon was formerly known as the Run-a-Thon, but the addition of yoga, parkour and meditation this year necessitated a name change. Sydney Lennard is a preteen with a cotton candy machine, and the young entrepreneur is spinning sugar into cash to help pay for college. Erika Locatelli says the world would be a better place if every school followed the Montessori Method of teaching. The Peaceful Place Montessori founder has roughly doubled her effort, opening a second preschool in Madrona within a year of the first. After 60 years shaping young minds in Madrona, Epiphany School is balancing celebrating its past with deciding its future. “I think we’re poised to really think a little more broadly about where we are going because of some of the opportunities that are available to us and, frankly, some that are thrust on us,” said Jenn Elkin, who joined Epiphany as head of school in July 2017. McGilvra Elementary students spent the last school year eating lunch in their classrooms due to ongoing construction. This year they’re dining inside a new cafeteria that will double as a multipurpose room. 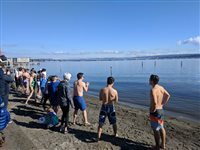 The students made the first dent in what will be an 18-month effort to clear invasive vegetation and enhance collections belonging to the University of Washington along the Lake Washington Boulevard and new Arboretum Loop Trail corridors, which is being funded by a gift to the Arboretum Foundation. The Northwest School board president Kathleen Wareham says the independent school is teaching by example with its plans to fully transition its $10.4 million endowment to socially and environmentally responsible funds. Over the course of the year the McGilvra PTA has been working hard at organizing their biggest fundraising event in two years. In April, the McGilvra community brought their 80s, with awesome costumes, wicked dance moves and generous hearts. 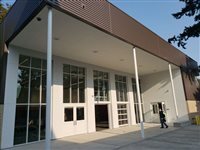 The reopening of Meany Middle School last September resulted in cutting grades sixth through eighth at what is now just Madrona Elementary. Despite having room to grow its enrollment, Madrona is one of many central area schools that has struggled with increasing its student population over the years. 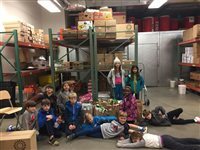 The Northwest School sixth-grader Asa Whitehead chose raising money for the Sierra Club as his action project. 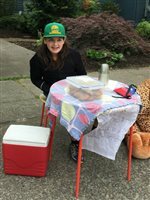 The Leschi resident raised $79 at his lemonade and cookie stand over two days. Seattle Mayor Jenny Durkan acknowledged a seven-year, $636.5 million education levy she’s proposing to fund her Families, Education, Preschool, and Promise plan will be a hard sell to voters come November, but she says the programs it will fund are crucial to improving the city’s economic future. Denise Juneau is poised to become the next superintendent of Seattle Public Schools, after the school board voted Wednesday night to enter contract negotiations with the former Montana Superintendent of Public Instruction.